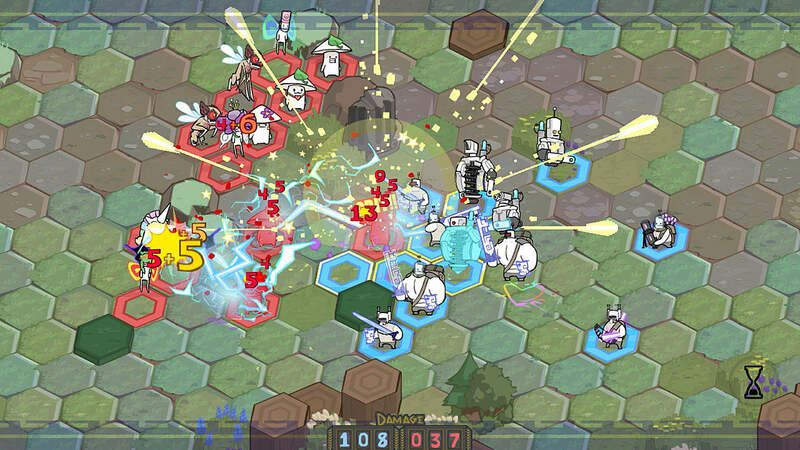 The Behemoth is an indie team that became famous after the successful release of Castle Crashers and BattleBlock Theater, with both games scoring 8.5/10 on Metacritic. 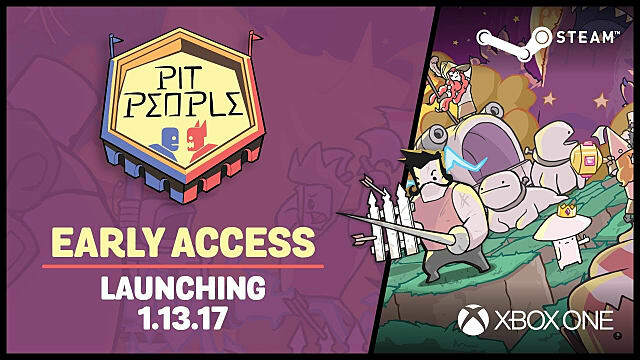 The upcoming game of the studio is Pit People, which has been available in Steam Early Access since January 13. Since then, it has already gathered more than 1,700 reviews that the platform ranked as "overwhelmingly positive." While the previous productions from this team share a high quality standard, we can presume Pit People will rank #1 as the best title this small studio has ever developed. The reasons for this assertion are plenty, so let's take a look at how Pit People compares to the the other games developed by The Behemoth. 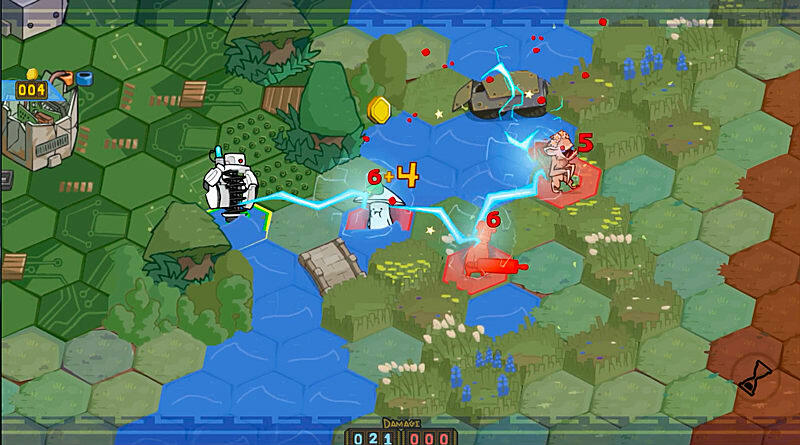 The previous games from this studio had simple game mechanics, in which players needed to either slash their enemies, as in Castle Crashers, or make their way through platform maps, as in BattleBlock Theater. 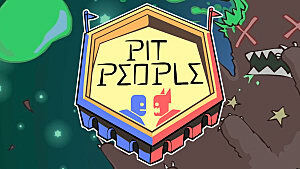 Pit People breaks this trend. By relying on turn-based combat, it adds the element of strategy to the gameplay, as players need to plan carefully their next moves, but adding complex mechanics, as most turn-based games, risked making the studio lose its identity. In order to tackle this problem, developers created a game design that challenges players, but does not have the complexity some RPG games feature. 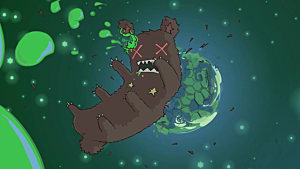 This added the element of strategy in the game, without abandoning the premise of the previous titles in its entirety. It feels as an evolution, rather than a complete and abrupt shift in direction. It is a change. One for the better. The previous games from this studio featured universes that were interesting and invited players to continue playing, mostly due to their comedic appeal. 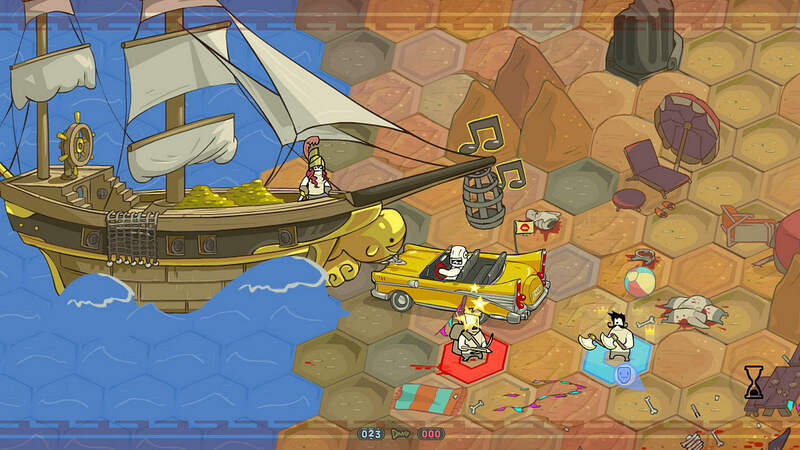 In Pit People, exploring the universe of the game remains a compelling activity, but now it has gotten even better. The world where the adventure occurs is much larger than the ones featured in Castle Crashers and BattleBlock Theater, thus leaving more room for exploration. An element that is worthy of a mention is the art of the universe, that remains faithful to the previous titles produced by this team, thus ensuring players understand that this is the continuation of the work done in the previous games, rather than an entirely new concept. A larger world creates many opportunities to engage players and create memorable moments, as we will address in the next topic. One of the key signatures of titles developed by The Behemoth is the use of comedy in its games. Ranging from visual jokes to sound effects, humor is one of the elements that keep players engaged in games made by this studio. 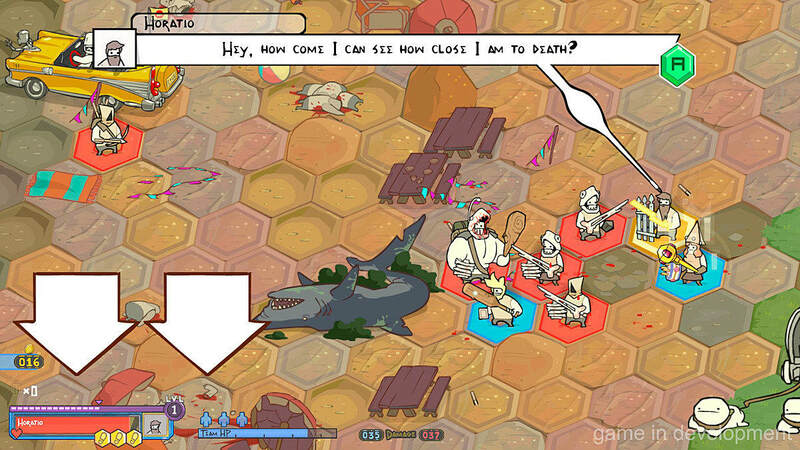 With Pit People featuring a larger universe for players to explore, it also has more content for adventurers to discover and that means more opportunities for the developers to add humorous content throughout the experience. This leads to the possibility of designers to emphasize on one of the most important aspects of the games made by The Behemoth -- humor. 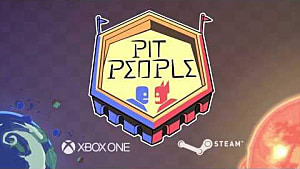 Which leads us to the final factor that will grant Pit People to overshadow other games made by the same team in regards to popularity. 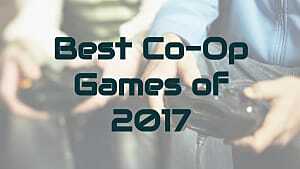 Whether the developers aimed at designing a game that would create an optimal experience for viewers on YouTube is debatable, but due to the fact that this game supports cooperative multiplayer, it can show an interesting relationship between two YouTubers playing simultaneously. Moreover, the turn-based nature of this game, slows the action down and leaves margin for discussions, thus leaving opportunities for more interaction between the YouTubers playing. 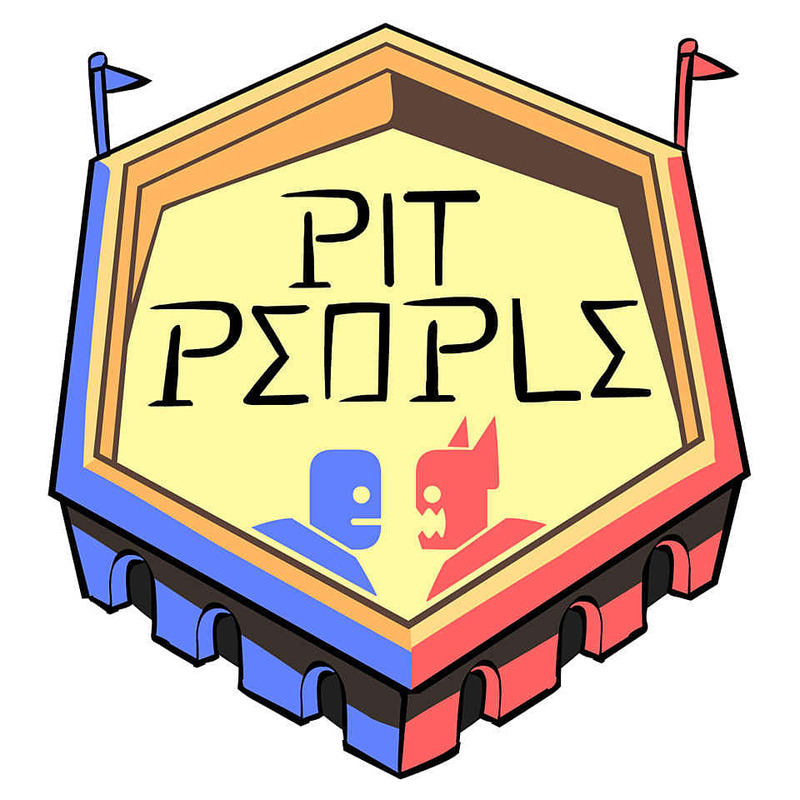 If these two have likable personalities and the communication between them flows naturally, then the design of Pit People will make for a very entertaining content for viewers to watch on YouTube. The promotion on YouTube will be paramount for the popularity of this title. 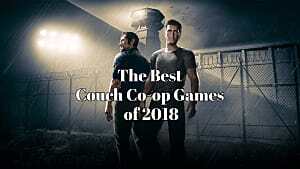 The Behemoth has earned its spot as a reputable independent studio, through the success of its comedic games and Pit People is set to continue this trend and do more -- it will overshadow its predecessors in popularity. Through a combination of the complex mechanics of turn-based RPG games with the simplicity of combat from the previous games of the studio, they have created a compelling experience. Mastering these mechanics feel more satisfying as players have a sense that their judgment when planning the attacks have meaning. This works in tandem with a larger map that leaves more opportunities for exploration, which also leaves more possibilities to add jokes, thus reinforcing the comedic appeal of the game, making it have potential to be funnier than the previous two. All of this creates an experience people will not only want to play, but also watch on YouTube, thus increasing the popularity of the game. Through all of the aforementioned items, it is safe to presume that this game will be a success and will also become the #1 game of The Behemoth, when it comes down to popularity.